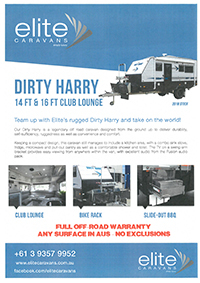 Team up with Elite's rugged Dirty Harry and take on the world! 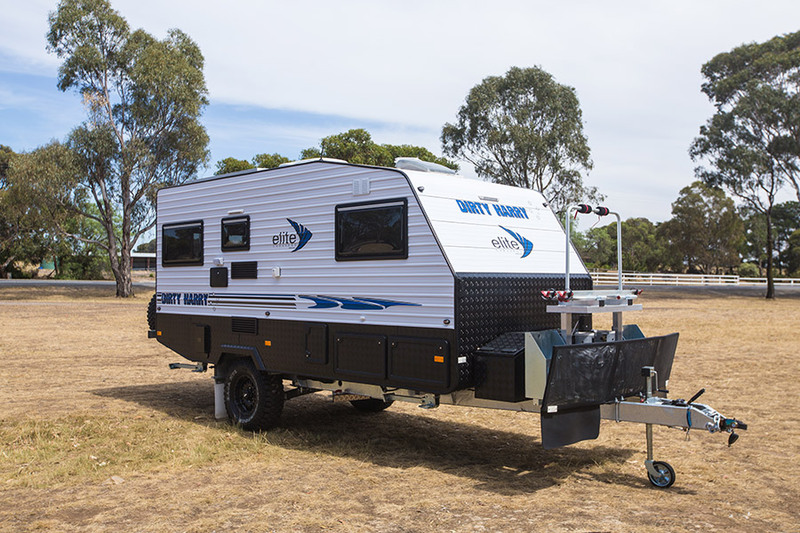 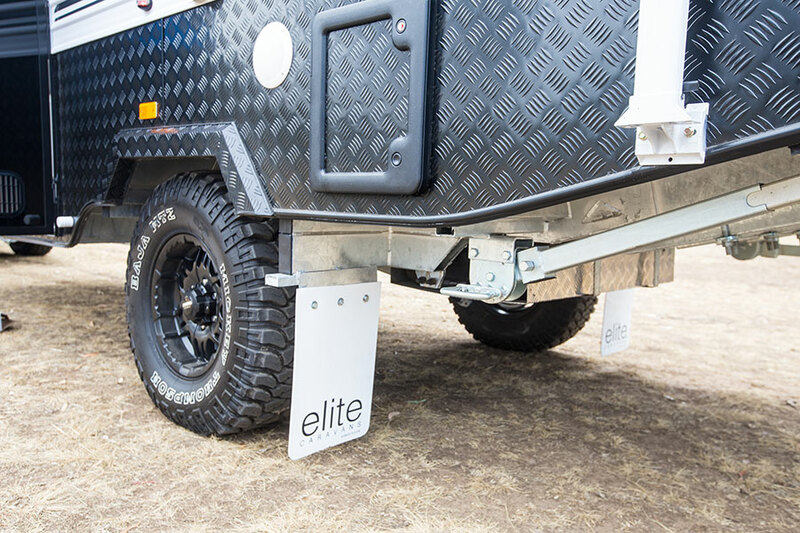 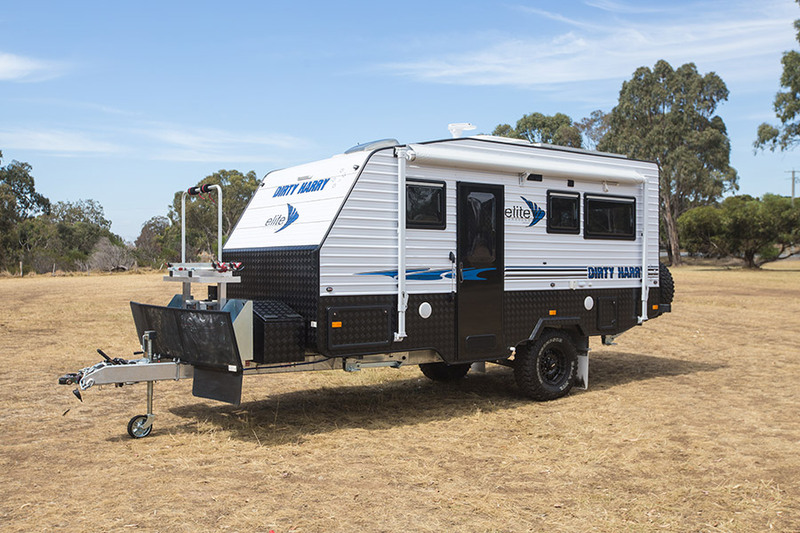 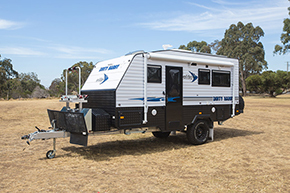 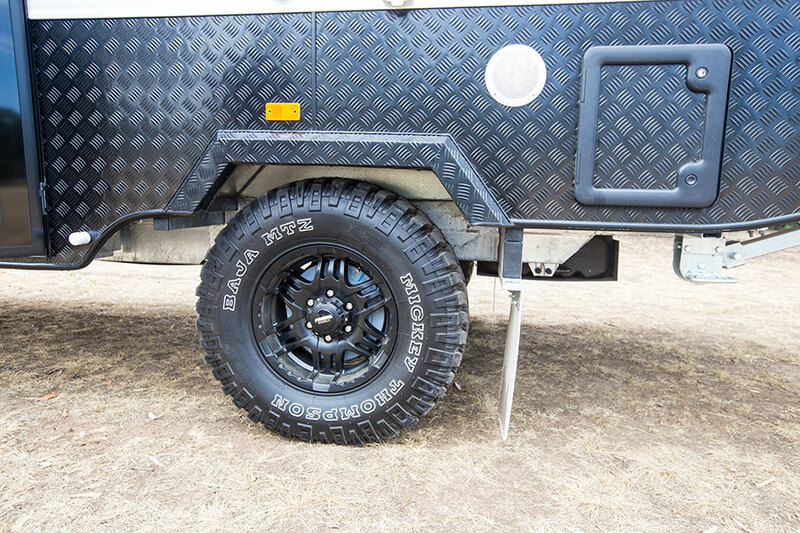 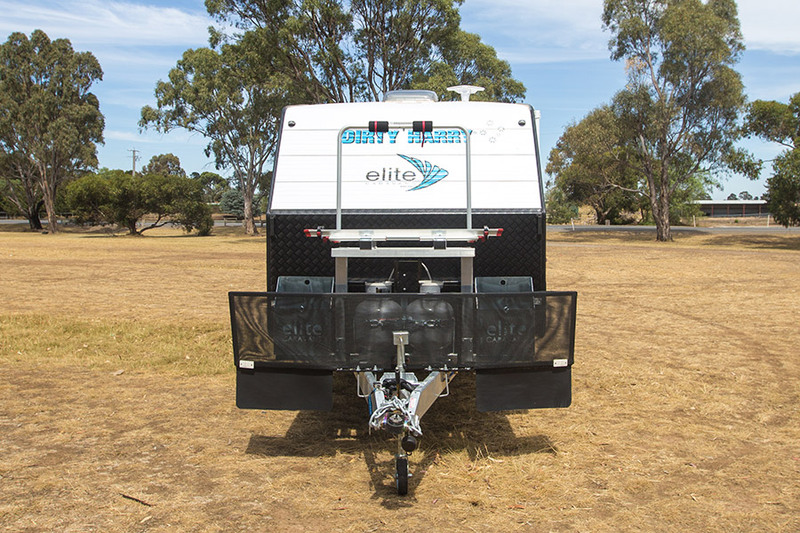 Our Dirty Harry is a legendary off road caravan designed from the ground up to deliver durability, self-sufficiency, ruggedness as well as convenience and comfort. 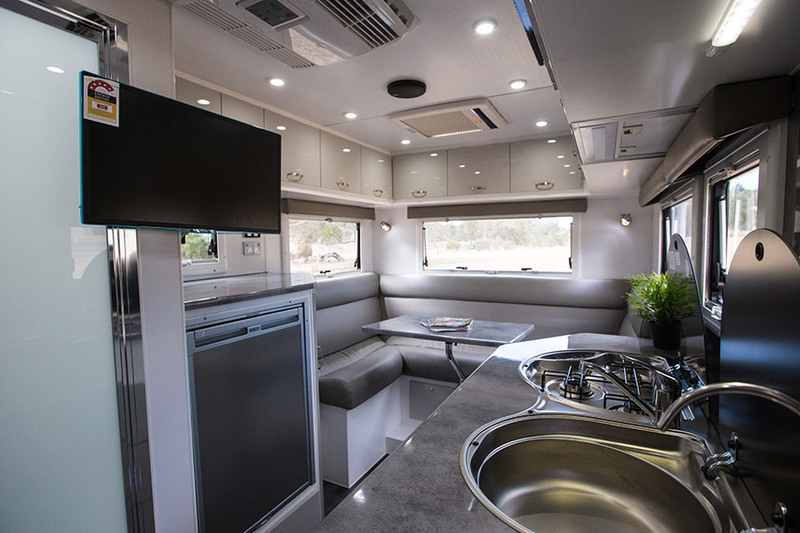 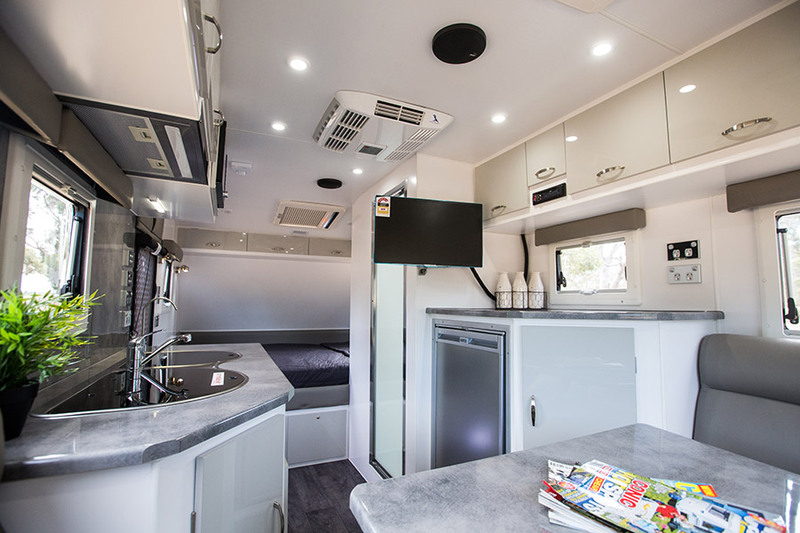 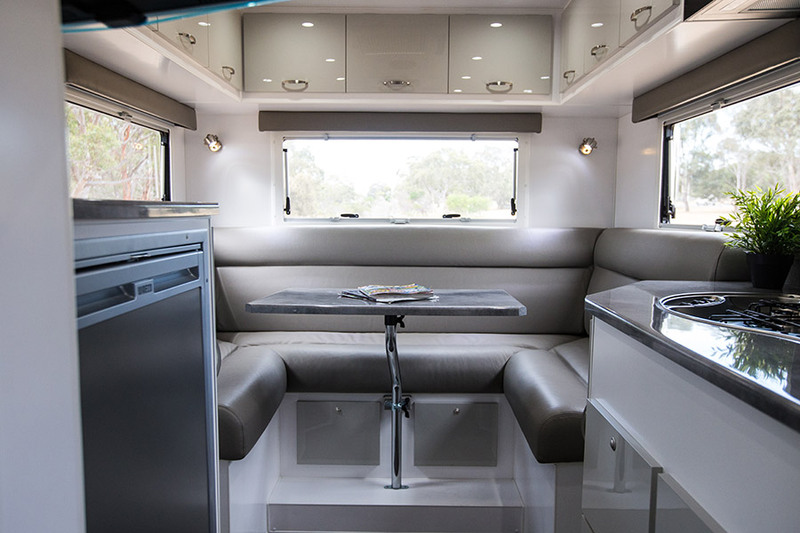 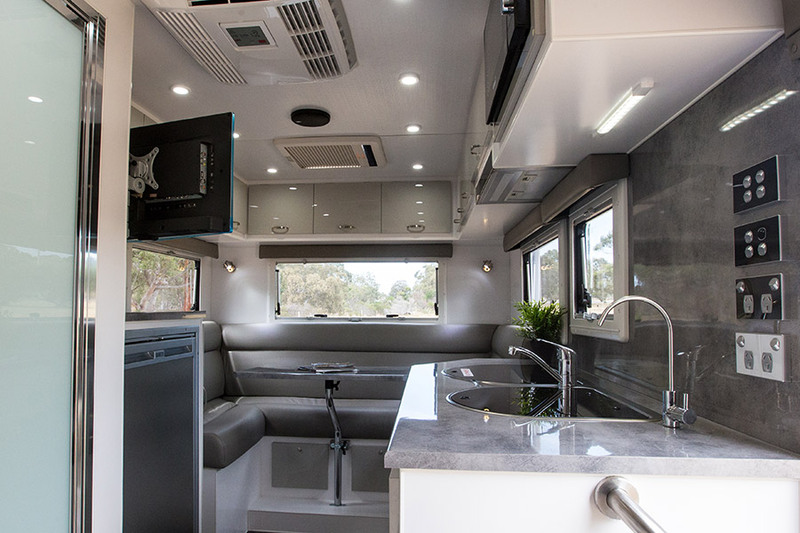 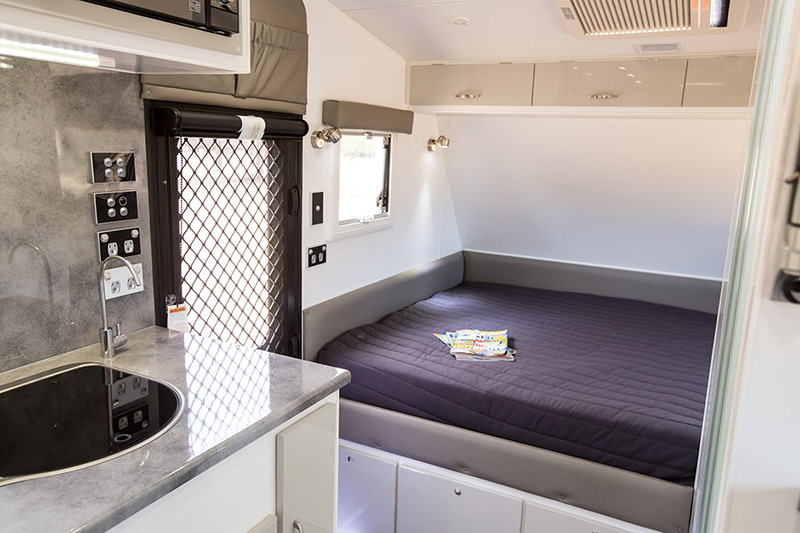 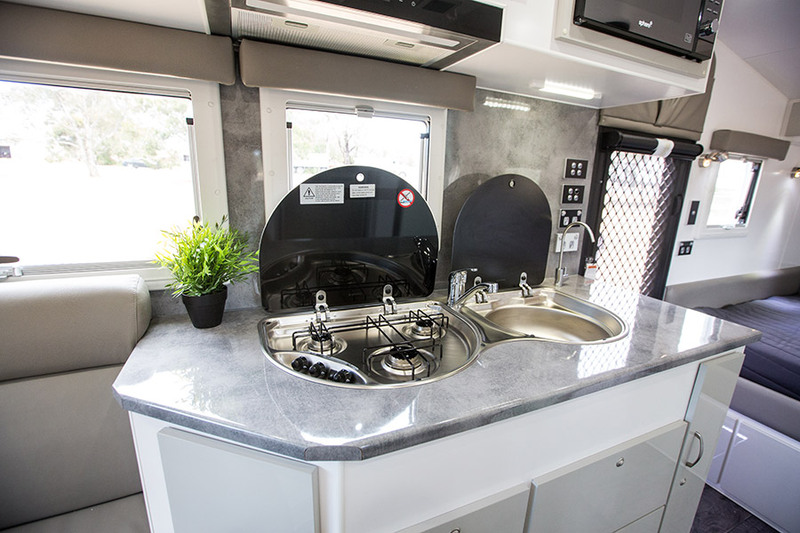 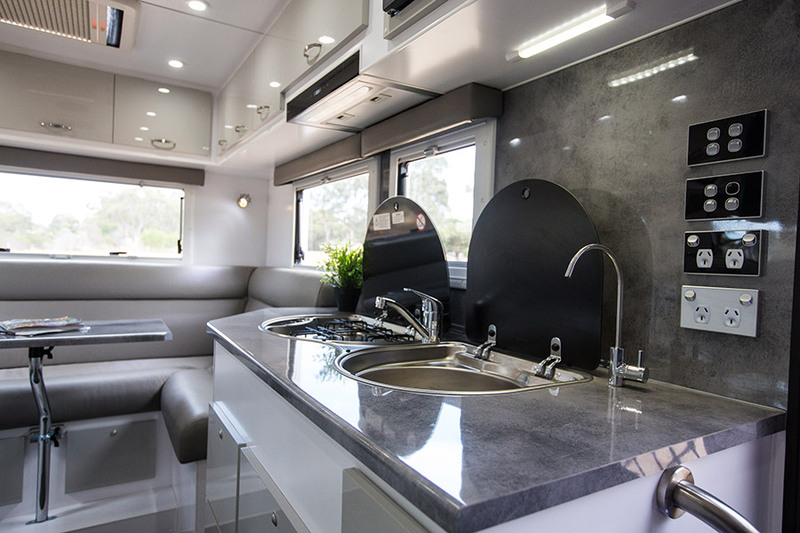 Keeping a compact design, this caravan still manages to include a kitchen area, with a combo sink stove, fridge, microwave and pull-out pantry as well as a comfortable shower and toilet. 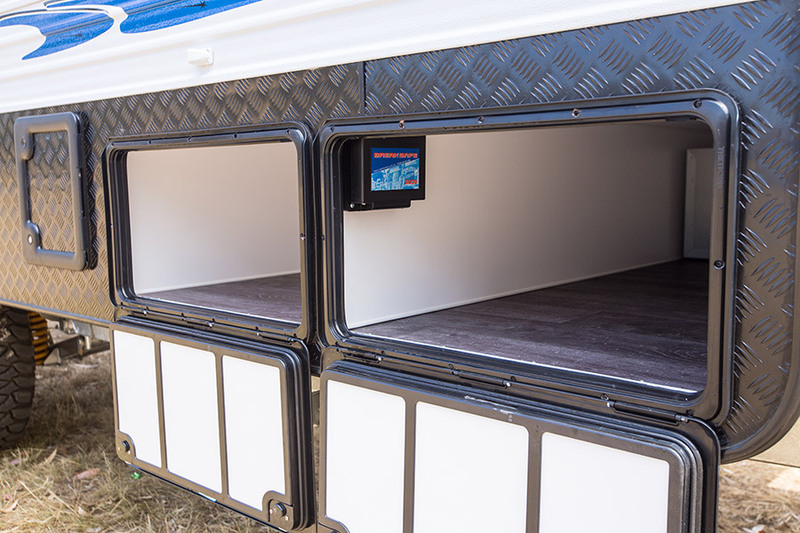 The TV on a swing-arm bracket provides easy viewing from anywhere within the van, with excellent audio from the Fusion audio pack.